I stand before you today in a building built by man that has been paid for in full. I stand before you today in front of buildings built by God that have been paid for in full. 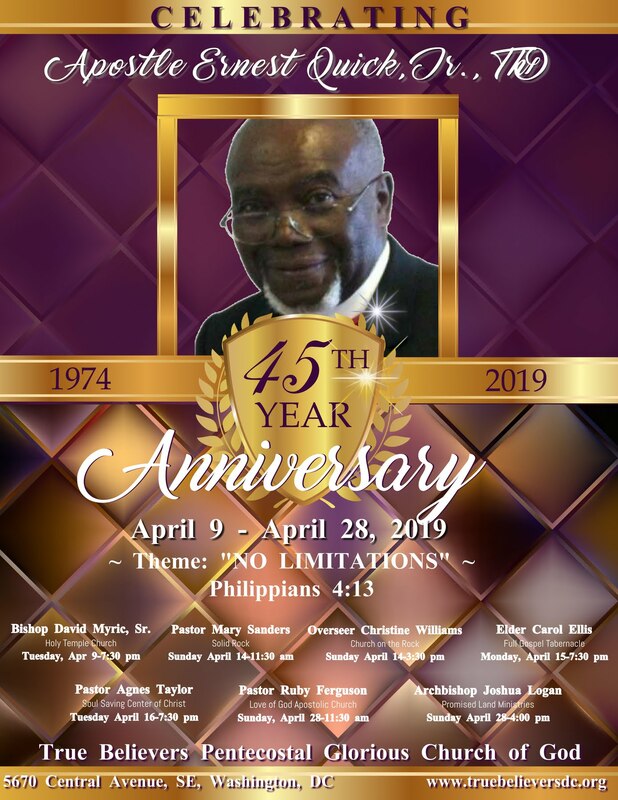 Although both of these debts have been paid, we as members of True Believers, and as children of God have a debt that we will never finish paying---the debt of love for others. Romans 13:8 tells us to “Owe no man any thing, but to love one another, for he that loveth another hath fulfilled the law.” God loved us so much that he clothed Himself in flesh and laid down His life on the cross to save that which was lost. We strive to be Christ like; therefore, we must love whereby it becomes imperative that we rescue the perishing. 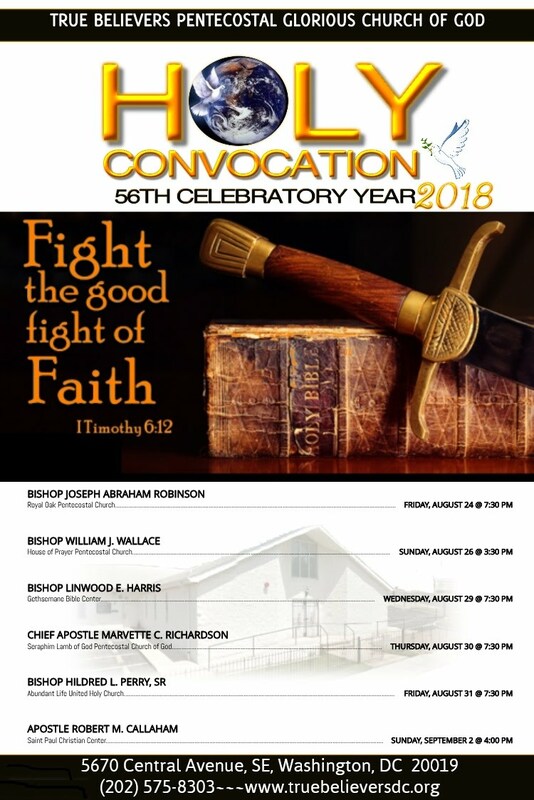 As the shepherd of True Believers, it is my duty to empower you with the understanding of the Word of God, so that you can go forward in the full power and anointing of the Holy Ghost to rescue the perishing. We must reach the generations that we serve by being a missionary church, evangelizing the Word of God. Memories are made within the walls of the church by its members. Memories are not eternal. If all we have to offer the lost are our old memories, then our flesh will die and our memories with it. However, the Word of God is eternal and will save generation after generation. The Word of God must be preached to all nations. We must go outside of the walls! 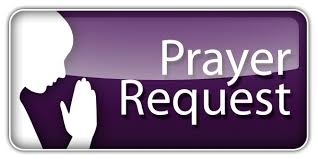 May the Lord wonderfully and miraculously bless those of you who may be trying to obtain the goal or vision that has been given to you. Whether it be spiritual or natural, you can always depend on the Lord for a new vision. 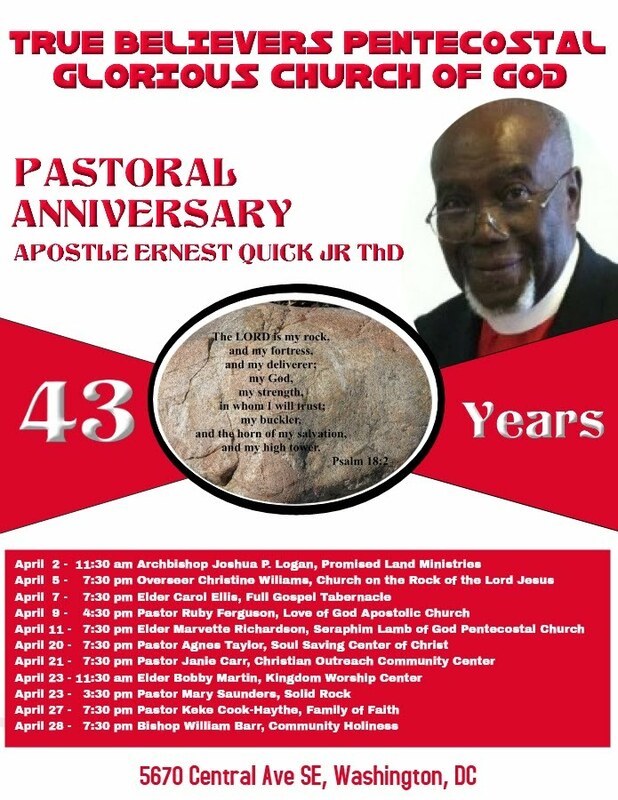 Apostle Ernest Quick Jr., Th.D. Jesus Cares for you and so do we at TBC. So come as you are and He will meet you there. 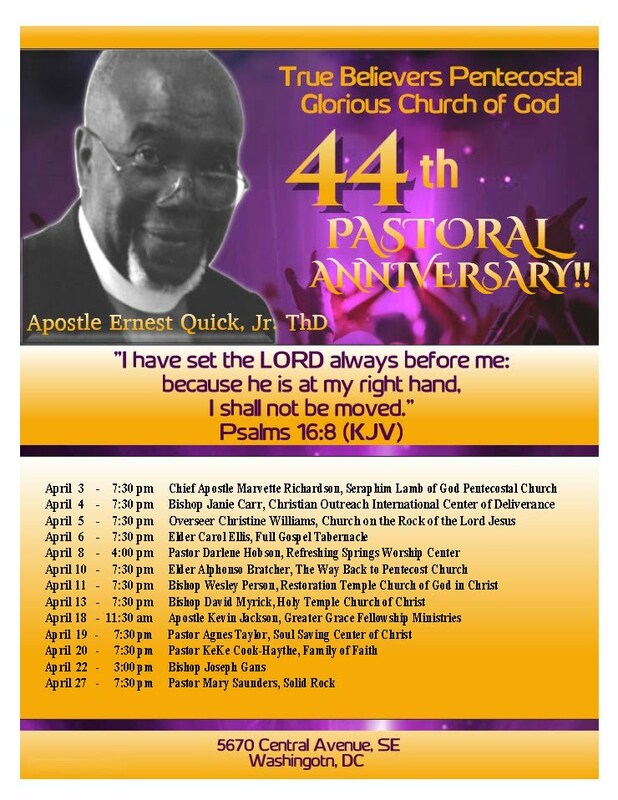 Join TBC as We Celebrate Our Apostle's 45th Pastoral Anniversary Year! 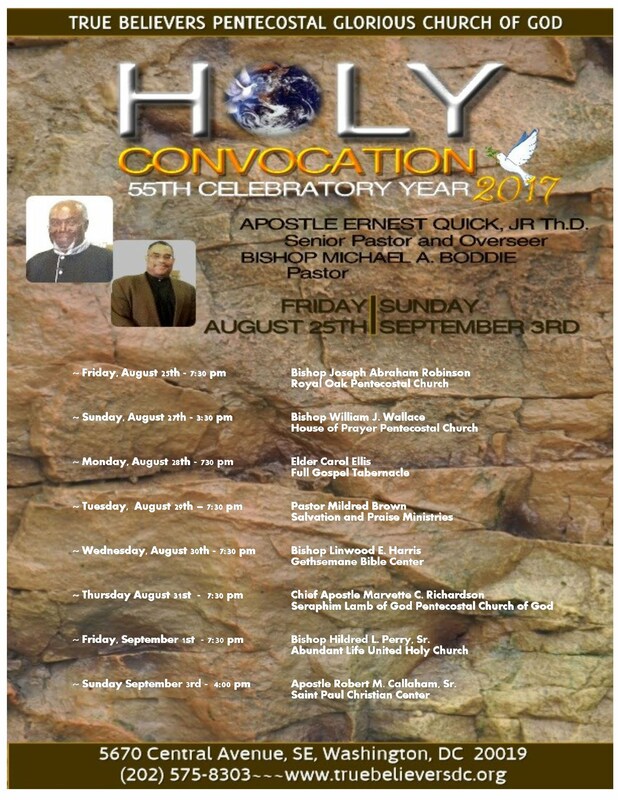 Holy Convocation begins today...Join Us as we celebrate Our 55th Year on the Rock!